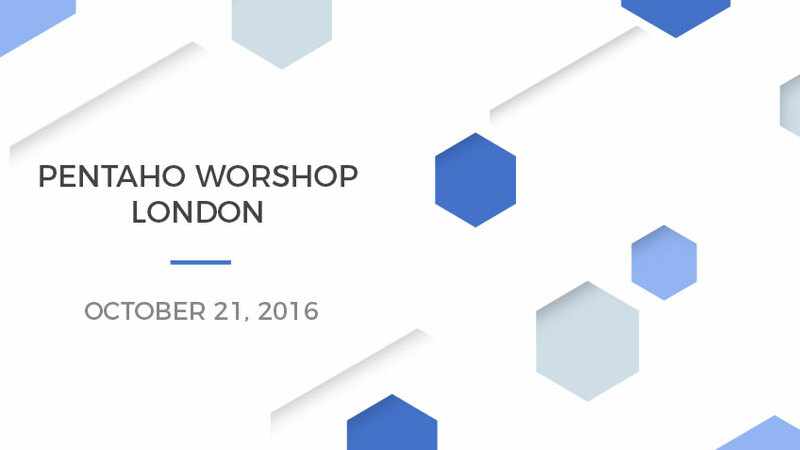 Join us on Friday, October 21th at 10am EST, as Xpand IT together with Pentaho will give a Workshop in London focused on Trends and Best Techniques to successfully implement your BI Dashboards. Register now for this Workshop – “Advanced Dashboard Techniques for Business Intelligence”– and learn how to deliver best practice dashboards, achieve high ROI and create Business Intelligence success! This Workshop will be jam-packed with great info that you won’t hear anywhere else. We will literally teach you how to implement and create amazing visualizations by using the same BI Dashboard techniques that has helped so many companies to overcome BI Dashboard failure! The free participation in this event is exclusive to end customers. The registration must be done using the form on the right side or by email: marketing@xpand-it.com. The registration is valid only after Xpand IT confirmation. If you do not receive a confirmation within 48 hours, please contact us by phone: +351 21 896 71 50 or email.